Included with every copy of Character Creator (CC) is a variety of free, embedded content to help you quickly experience the excitement of character creation. 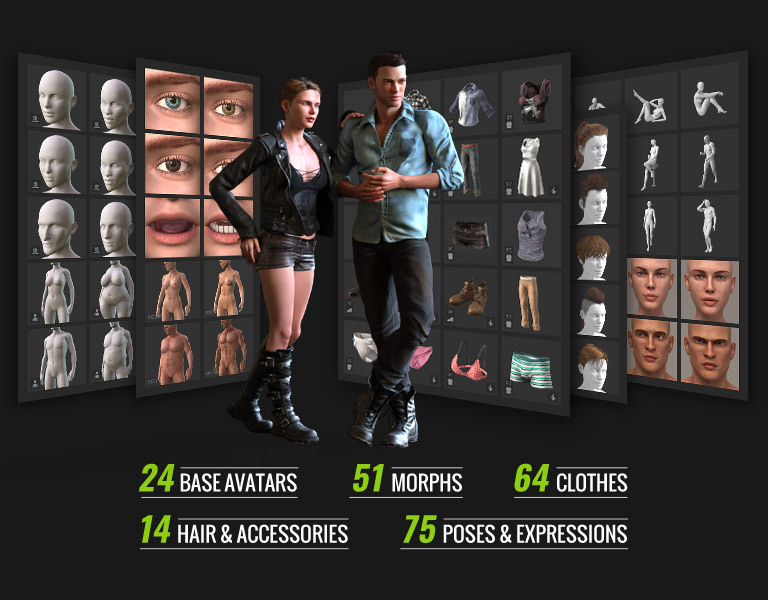 This includes basic morphs, clothing, skins, makeup, accessories and presets for base characters. Use the fundamental modification sliders provided in Character Creator to tweak and change the overall look and feel of your avatars. 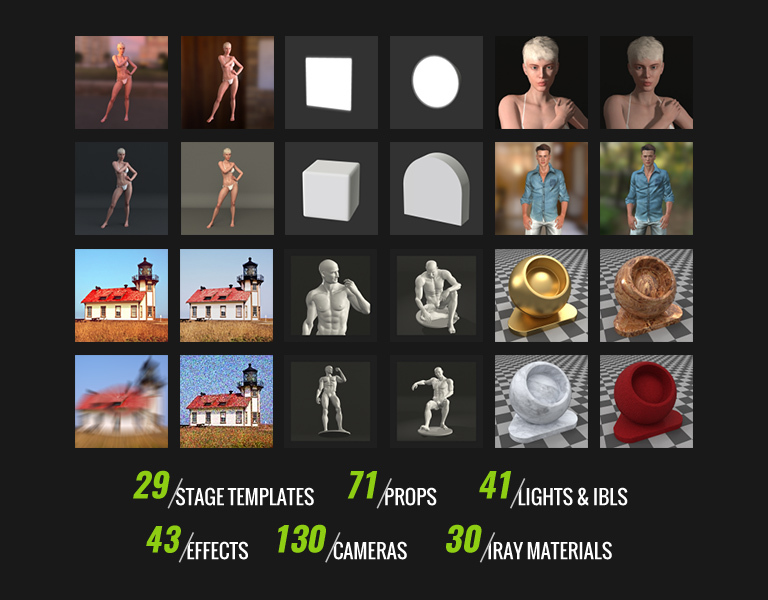 Also take advantage of the newly added poses, expressions, and stage elements covering true camera, along with studio lighting, post effects, 3D blocks, and much more to add flavor to your designs! This pack is for trial CC content usage, especially for CC Trial users who can still try out the functionality of CC even when they are unable to purchase contents. Note: Since this is for trial usage then you will see a distinctive watermark displayed in the 3D view, which happens when applying trial contents on a character. Also, you can only preview the trial content inside CC Trial, and you will not be able to save them to your content library, or modify them.